Are you the master or slave to your “shadow”? | Changing lives. Empowering people. One life at a time. Are you the master or slave to your “shadow”? – Changing lives. Empowering people. One life at a time. Are you the master or slave to your “shadow”? Each rep of each exercise, executed with constant tension throughout the full range of motion gets you closer to the person you ‘imagine yourself to be’. 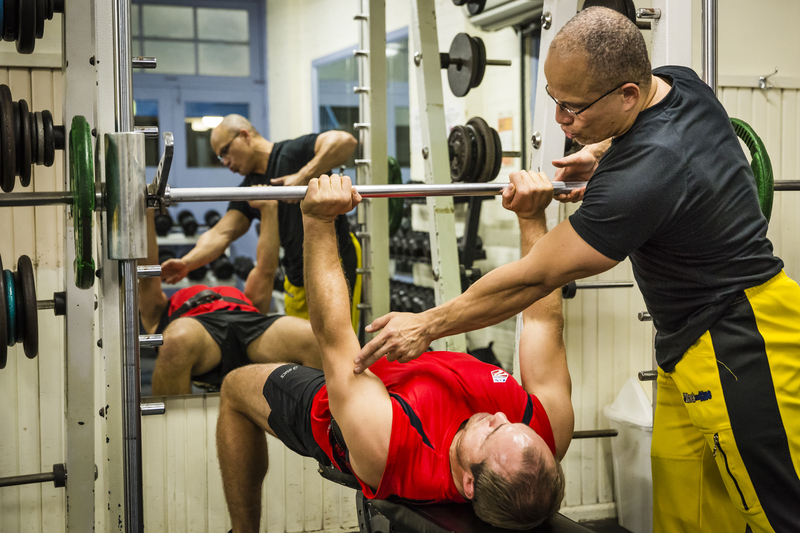 Goal of set: make the last rep as good as the first. An A+ student here – Phil Waugh. In daylight or any light for that matter, you cast a shadow. Even if the sun or light is right above you, your shadow is still there. It is always there. Your shadow here can be likened to your self-image, your sub-conscious. Are you the master or slave to your shadow? It is an interesting relationship – this one between you and your shadow. Can be likened to a ‘master-slave’ relationship where you would think that YOU are the master and your shadow, the slave. All actions you take comes from this relationship. Well, many actions can be taken by the master but no action whatsoever can be taken without consulting the shadow. The shadow or the ‘sub-conscious’ ability of the mind houses your very important ‘self-image’. By the time we are adults, we would have developed a self-image about every talent, every characteristic and every performance we have ever had. Have you ever heard yourself or others state perceptions out loud like – “I’m a lousy cook, I can’t even scramble eggs’ or “I have a terrible memory”. “I’m never on time”. “I can’t stick to a healthy diet”. I have heard many of these self-limiting impositions people have made and believed in my time in the gym. Here, Brad is ‘feeling the essence’ of the exercise and inching closer to his best self. In my two decades of helping individuals in the gym find the best version of themselves, whether it be in losing weight or in quitting a bad habit, effort alone is not enough to achieve and sustain the goals. You also need imagination! Individuals DO NOT behave in accordance with reality. Individuals behave in accordance with their ‘perception of reality’. What is your reality? What is your perception of the ‘truth’? I have found that if a person does not desire to work on changing his/her self-beliefs that are aligned with the person they desire to be then the change they are seeking will be temporary. This will apply to any worthwhile change, for example weight loss, alcohol consumption or quitting smoking and so forth. Self-image is fundamental to understanding human behaviour and what I discovered years ago is that if you change a person’s self-image, you change their personality and their behaviour. I think this is a very important part of any mentoring/coaching role, whether it be in a team capacity or on an individual basis. This is why effort (or will-power) alone is not enough to make a change that is lasting in yourself. Trying to make a worthwhile change at the conscious level by using will-power, will usually result in a temporary change. I have seen this many times with the thousands of gym goers that seek a positive change in their lives. You see them – bursting out of their seams doing all the group classes, sporting the latest clothing gear, looking the ‘part’ but never achieving their goals. There are many reasons that people fail to achieve lasting change but a big part of it is that they try and take on a new habit for example – going to the gym or give up a bad habit for example – one-pack-a-day smoker for ten years by good ol-fashioned, teeth-gritting WILL POWER. This is where people fundamentally go wrong: people think that they are masters of their shadow and have not understood that they are in fact slaves to their shadow, the shadow being your subconscious part of your mind. Because they have not spent the time working on their self-beliefs that make up part of their self-image, the conscious mind is still unconvinced. Two principles of building muscle: 1) Simplicity and 2} Continuity. Reminds me of a client I trained a few years ago. He did very well. He lost around 30kg and built a decent physique. He worked very hard and was a very good student. For about 8 months I reminded him daily of the importance of ‘walking, talking, sitting, eating, sleeping, shi%ting …. Like the person he desires to be”. And for those first 8 months he told me he had it under control and he had mastered this request of mine. However, I wasn’t convinced he was (even though he had achieved a body-weight he had not been at since he was a late teenager). It was unchartered territory for him. It wasn’t until he went out and played a round of golf with some of his old mates one weekend that he truly understood what I meant by that statement and what I said was his biggest challenge was. That was when everything crystallised. He then realised what I had meant when I reminded him of how important it was to train his mind and mastering his shadow. I have said this a thousand times over the last two decades – losing weight is the easy part. What is the most difficult thing to do is convincing the REAL YOU that you are the NEW YOU. In the case of the example of the smoker, your shadow (self-image) has seen you as a smoker for the past ten years and believes that you will still “see” yourself inside as a smoker. This is where imagination and emotion (or heart) comes in to the equation. I have always believed that effort (will-power and hard work) alone is not enough to achieve lasting results, one needs imagination and ‘heart’. You need to feel the end result you are seeking. If you don’t change your self-image or shadow then when there is a conflict between will-power and conviction, the latter will always WIN. You can see this in action for example when you know you’re tired but you’re convinced you won’t sleep, you just won’t sleep no matter how hard you try (will-power). Focus + heart + visualization ===> results. For any worthwhile change to be sustainable and permanent in your personality or behaviour, you should first involve change in your belief-systems and self-image (change the control your shadow has over you). This change in self-image needs to be followed up with a quality plan and quality implementation for any successful change in your lifestyle. You need these 2 things if you want to get results. That is easy to understand. It follows then that to achieve QUALITY RESULTS, you need to have a QUALTIY Plan and have QUALITY implementation. So, a question you would ask yourself is “are you going to be a slave to your shadow for the rest of your life” and use it as a ‘handicap’ or are you going to use this shadow as a springboard to achieving greatness?” However, which way you define greatness. Scientists agree that the human nervous system cannot tell the difference between an actual experience and an experience imagined vividly, emotionally and in detail. This is why your shadow can be used as a springboard to achieving greatness if that is what you choose to achieve. It is yet another of the many decisions you have to make in your life. A choice. So, it would follow that you need to “see’ through the eyes of the person you would like to be if you desire to be the person you desire to be. A quality plan + quality implementation = quality life. This is what my framework and the products I have developed help people do. I give them a quality plan (tailored to each individual) and I guide them through quality implementation towards a quality result. So, don’t leave such an important aspect of self-achievement with the ‘lottery of life’ attitude, that a big percentage of the population do – you can see this behaviour reflected in the popularity and increasing prevalence of games of chances, led by the gambling industry. It is the one thing you have some control over, if you desired it. What is needed from you is the courage to manage your shadow better and become master to it and not the servant. Make a quality plan to change your belief systems for the better and use your shadow (self-image) as a spring board to a better YOU, a better LIFE. Progress, any form of progress is a motivating factor. So, if there is one important investment you will ever make and abstain from putting the ‘cart before the horse’ like the majority of people do, is to work on your shadow. In order to do this, you need to understand your shadow, understand the REAL YOU. You need to increase your awareness. The first step to any form of self-improvement. To do this, to understand – you need to work towards simplifying things. Matter of fact, in the beginning you need to ‘over-simplify’ things to understand things better – to ‘manage your funnel better’. So, that is your first step, simplify YOU. Simplify your life. Make the complex, simple. Simplify to understand. Understand you and your shadow. Seek to understand the master-slave relationship that exists. Before becoming a master of the many other external things in life, become a master to yourself – your shadow. Work towards managing this master-slave relationship in your favour. Take better control of your shadow by understanding and changing your self-image, with a vivid, clear, emotional, sensory vision of the person you want to be. If you have children, watch them play ‘pretend’ games. Understand your shadow by adopting this “lets pretend” attitude, and play the role of whomever you want to be. My kids just don’t go out of character until the pretend game has ended. Imagination is one thing my kids have helped me improve over the last few years of fatherhood. So continue to work on your imagination and believe in your dreams. Believe you can become a better version of YOU and try ‘pretending’ you ARE before YOU ARE. After-all, your shadow cannot tell the difference between “The real me” and the ‘the one I see’. Managing my shadow better, helped me towards representing Australia twice at the World Natural Body-building Championships and be placed in the Top 5 in the world in consecutive years. It has also been one of the reasons over 84% of everyone I have ever helped over the last 10 years have successfully achieved their goals or better. So, don’t be a slave to your shadow. Instead work towards becoming the master that you deserve to be and be the best you can be, for YOU first (in whatever worthwhile goal you have), and by default everyone gets the best of you too. Be the best you can be to live the best life you can live. Besides, I read somewhere a long time ago that life is like a parachute, you only have one chance to open/live it. 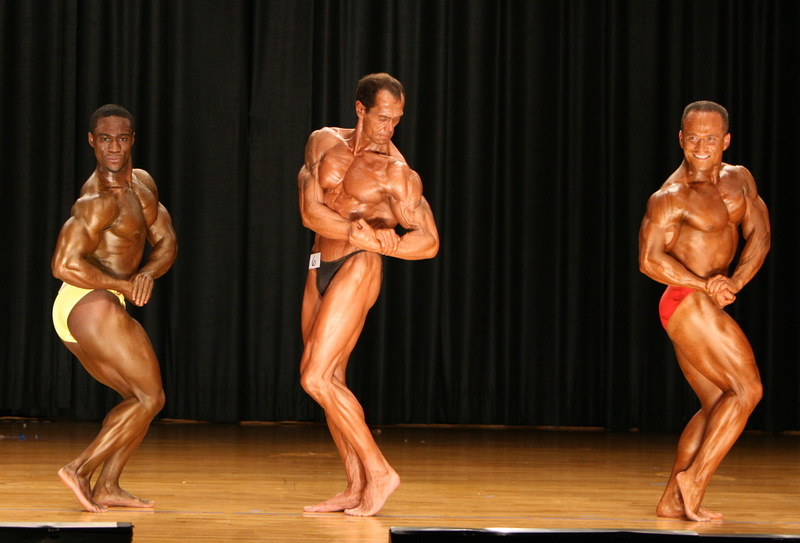 Side Triceps pose in the heat of competition at the 2007 World Natural Bodybuilding Contest held in NY, USA. ← Keep the fire burning.